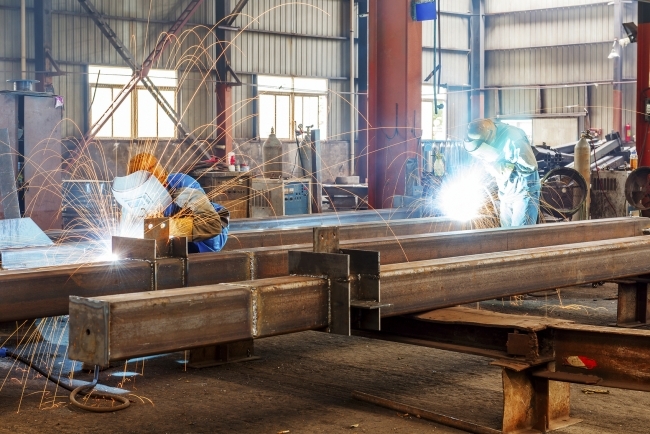 The UK contract manufacturing market hit a record high in Q1 of 2018, up a massive 72% on Q4 of 2017. 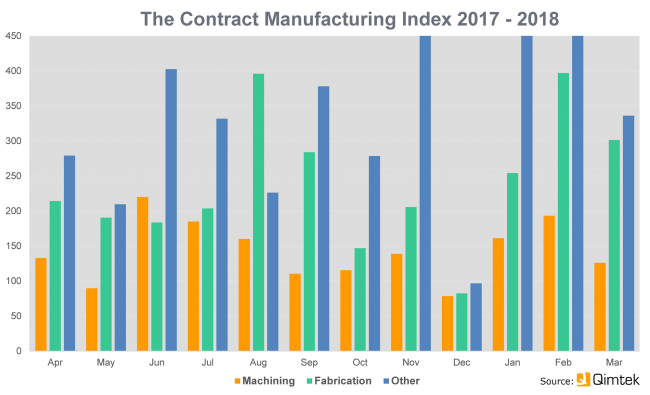 The latest Contract Manufacturing Index (CMI) figures reveal that the market for subcontract manufacturing was extremely healthy in the first three months of 2018, up 72% on a disappointing final quarter in 2017. The latest figures suggest that the market has returned to its previous upward trend. The main drivers for this growth were large companies in industrial machinery, construction equipment and automotive coming back into the market after holding off placing orders before Christmas. The electronics industry, which had previously been the main customer for machining and fabrication services, was still strong but did not grow as much in this quarter. The CMI for Q1 2018 stood at 238, compared to 138 in the previous three months, a record high since the Index was first calculated in 2014. Compared to the equivalent period in 2017 the index was up by 46%. Within those figures the strongest demand was for fabrication services, up 119% on the previous quarter and representing 51% of the market. Machining was up by 44% on the previous quarter and presented 38% of the market. Other processes, including electronic assembly and plastic moulding, were up by 34%. The CMI is produced by sourcing specialist Qimtek and reflects the total purchasing budget for outsourced manufacturing of companies looking to place business in any given month. This represents a sample of over 4,000 companies who could be placing business that together have a purchasing budget of more than £3bn and a supplier base of over 7,000 companies with a verified turnover in excess of £25bn.